Device drivers, what are they you ask? They are a computer program that allows your operating system to communicate with its hardware. Every hardware that's attached to your computer needs some written code that will enable the device to be operable within an OS environment, specifically Windows. Here's the thing, those same Windows drivers I just mentioned can after awhile become very corroded so to speak. Outdated device drivers can present itself as a hindrance to your overall computer system. Just recently I experienced audio lag on my computer while viewing video stream via YouTube or Netflix. The remedy for this issue is to update the audio driver. With success, I was able to fix my sound problems. A simple update to your device drivers can thwart future problematic issues. With that said, you should make it a monthly maintenance task to update your device drivers on your Windows-based computer's. In this tutorial, I'll guide you readers on how to properly update your drivers. The process is relatively easy. Your device manager has listed every single hardware embedded into your computer, the hard drive or drives, memory, audio chipset, graphics card. If it's attached to a motherboard, chances are it is listed in the device manager. Your device manager is what the name suggests; you manage your devices or hardware. Operable hardware listed in a device is a good indicator that your PC is stable. Troubled hardware will display an icon that's color-coded in red or yellow, marked with a question mark and apostrophe — signaling to the user that you have issues with that particular hardware. The most daunting task is trying to figure out where can you acquire device drivers. Microsoft has a slew of drivers stored on their servers. For me, I rather go to the manufacturer's website, which usually has the drivers first hand which makes sense they are the manufacturer. For example, you want to update the graphics card your first course of action is to go on the actual website (NIVIDA and AMD) retrieve and download the drivers. You can also if you choose to resort to third-party software solution. There are plenty of software that will actually scan your system and down the drivers for you. One such software is Drive Booster, which is what I have on all of my computers. 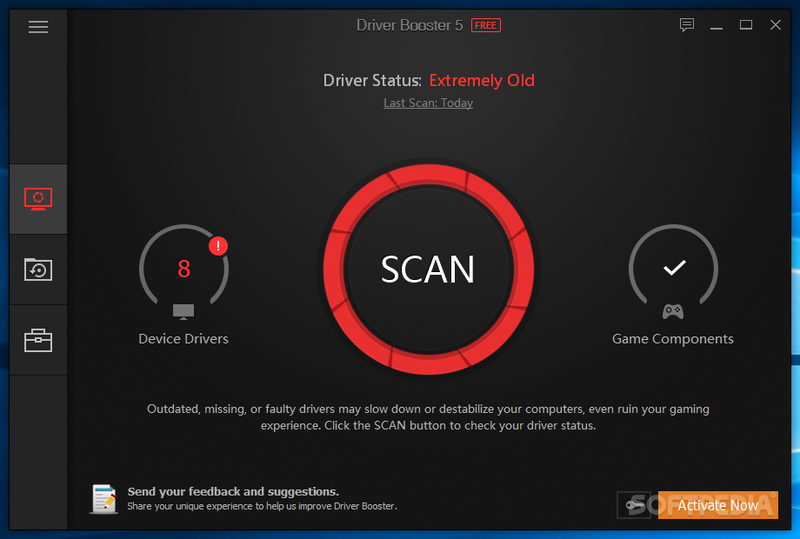 Its scans your computer and then determines whether or not if your device drivers are outdated. You then have a choice to update the drivers. Once you've located the driver, now its time for the installation process, you can install the new driver over the old driver; this process is call overwriting. But if you want stable results the correct way to install hardware drivers is to uninstall the old driver then install updated drivers. Check the dates, that's a clear indicator the drivers are up to date. At this point, I'm assuming you haven't run into any issues; you may see a message telling you to reboot your system, do so. Once you have installed the drivers and rebooted your PC, depending on the hardware, you may a see boost in performance or clear up whatever issues the PC was having. Again, every month make it a priority to update your device drivers. Doing so will extend the life of your computer.